Medical Alert Systems – Security Blanket Inc. Completely mobile PERS, is on the world’s largest cellular network with GPS and uses network location services to provide an approximate location and location history. Libris detects falls with the utmost accuracy and minimal false alarms. Our fall detection methods are based on multiple motion sensors and proprietary algorithms exclusive to Libris products. The mPERS can often notify the monitoring center of a fall, even if the individual is unable to activate the button themselves. 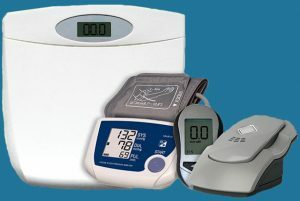 Libris connects wirelessly with personal medical devices, collects and shares objective health measurement data, such as blood pressure and pulse oximetry, as well as activity data, location information, and fall events. Data is uploaded to EverThere cloud platform and accessible via any smart device. The Numera Smart Cradle operates as a connectivity hub for Numera line of personal safety wearables. Libris users can now choose to wear a lightweight personal help button pendant, a wrist assembly help button, or a fall detector pendant. 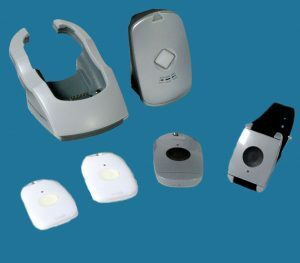 Wearable help buttons provide 24/7 safety at home, while within the 300 ft range from the Smart Cradle. The Numera line of wearables are a perfect personal safety alternative to the Libris mPERS device. Ideal for sleep, use around the home, and while your Libris mPERS is charging . Download the brochure HERE. Numera Libris is a cellular device. For proper operation, Libris requires adequate cellular signal. Poor cellular coverage in the intended area of use may result in the inability to place a call or automatically detect a fall. Please check with your local customer service team for known coverage limitations.